"Through its choice of game projects combined with its digital distribution platform, Impulse, Stardock has been able to tap into the "core" PC game player, a group that has been often ignored in recent years, with the ability to create games they want and deliver those games to them. Wardell will discuss the strategy Stardock uses to design such games, as well as how they deliver these games to the target audience through both retail and digital channels." - Acclaimed indie creator Jonatan 'Cactus' Soderstrom (Clean Asia, Psychosomnium) is renowned for the wide-ranging, eclectic multitude of freeware games that he creates. In an IGS lecture, "he'll discuss fast prototyping and how he creates standout, beautiful games in as little as four hours." - Infinite Ammo's Alec Holowka (IGF Grand Prize-winning Aquaria, Paper Moon) and Pillowfort Games' Tommy Refenes (Goo!, Grey Matter) talking on 'How to Finish a Game Project You... Hate? ', specifically "finding and maintaining motivation on an indie game project, long after it feels natural to do so." - IGF Chairman and Gamasutra/Game Developer publisher Simon Carless on 'Independent Games & Sales: Stats 101', talking on "how you can make a living from PC web, casual, and downloadable indie titles, iPhone games, XBLA, WiiWare, and PlayStation Network titles, to name but a few." 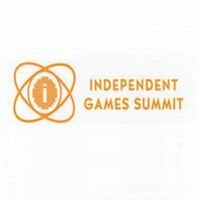 The Independent Games Summit takes place alongside the yearly Independent Games Festival at GDC 2009, with IGF finalists invited to attend IGS for free, and other interested parties able to attend via a GDC Summits Pass. More information on the full line-up for the Summit will be available at the official Independent Games Summit webpage in the near future.